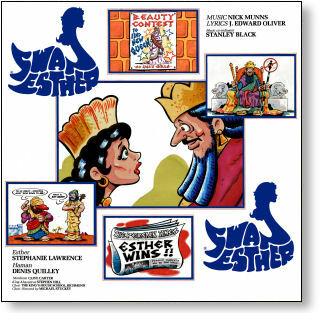 'Swan Esther' is a musical retelling of the biblical story of Esther, the Jewish queen of the Persian King Ahaseuerus. The musical was the brainchild of legendary theatre producer David Land in a bid to replicate the earlier success he had achieved with 'Joseph And The Amazing Technicolour Dreamcoat'. Featuring an upbeat and memorable score by Nick Munns and J. Edward Oliver, the musical was recorded as a concept album in February 1983 featuring Stephanie Lawrence as Esther, Denis Quilley as Haman and Clive Carter as the minstrel Mordecai. 'Swan Esther' opened for a limited run at London's Young Vic Theatre in December 1983 starring Amanda Redman in the title role. After undergoing many revisions, the show embarked on a successful UK tour in 1985 produced by Bill Kenwright. Now titled 'Swan Esther And The King', the new production starred Jackie Marks, Chris Corcoran and Warwick Evans and featured additional songs composed with Shirlie Roden and John Miller. 'Swan Esther' now debuts on CD featuring the complete 1983 concept album coupled with studio rehearsal demos of the additional songs composed for the touring production 'Swan Esther And The King'. 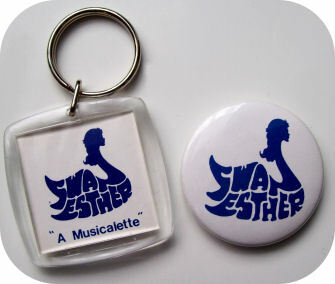 All orders placed via www.stagedoorrecords.com will receive an original 'Swan Esther' badge and key ring, as sold at The Young Vic Theatre in December 1983. Stocks are limited! Licensed from Swan Esther Ltd.